I am Lieutenant Colonel (Retired) Barry C. Dickerson, a native of Talladega, Alabama. I am the founder and CEO of one of south Florida’s newest real estate entities, the Dickerson Group, and the senior principal member of The Dickerson Investments Group, LLC, located in Fort Myers, Florida. I am also the former Vice Chairman of the Board of Directors for Lehigh Community Services, a non-profit United Way organization located in Lehigh Acres, Florida. My career of notable service began as a 1989 Distinguished Military Graduate of Jacksonville State University’s Army ROTC program and Talladega College’s School of Business. I honorably served in the United States Army for 29+ years, highlighted by numerous senior leadership positions and five combat deployments to Saudi Arabia, Iraq, and Kuwait. I retired from active duty in August 2014 and moved my family from Kaiserslautern, Germany to Fort Myers, Florida. As an Army Human Resources Officer, I was committed to providing excellent customer service through unsurpassed knowledge, adept use of technology, and relentless attention to detail. 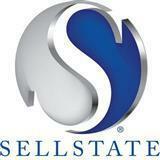 Now, as a licensed Sales Associate with Sellstate Maximum Performance Realty, I bring those same qualities to real estate. Having lived in over 20 different homes during my 14 separate military assignment locations, I fully understand the challenges that accompany the buying and selling of real estate, and am uniquely qualified to assist buyers and sellers with meeting their residential real estate requirements. I will listen carefully to understand your real estate goals and work hard to create solutions that make sense for you. Whether you are new to the market or an experienced investor, my team and I have the expertise, proven track record, and resources to help you achieve your real estate goals. We have extensive knowledge of the Fort Myers, Cape Coral, Estero, Bonita Springs, and Naples areas and can help you find the right home for you or the right buyer for your home. Contact me today and let my team put our experiences, knowledge, and skills to work for you.